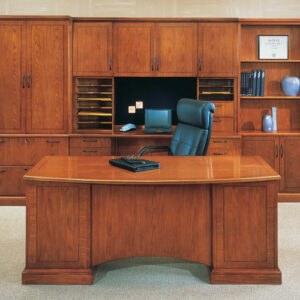 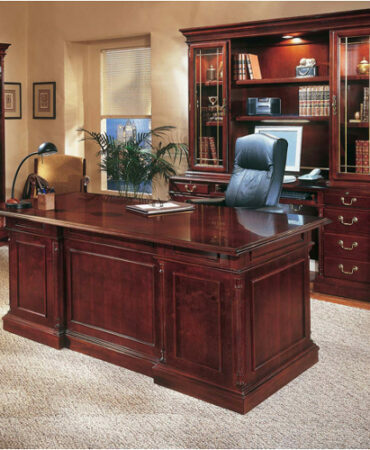 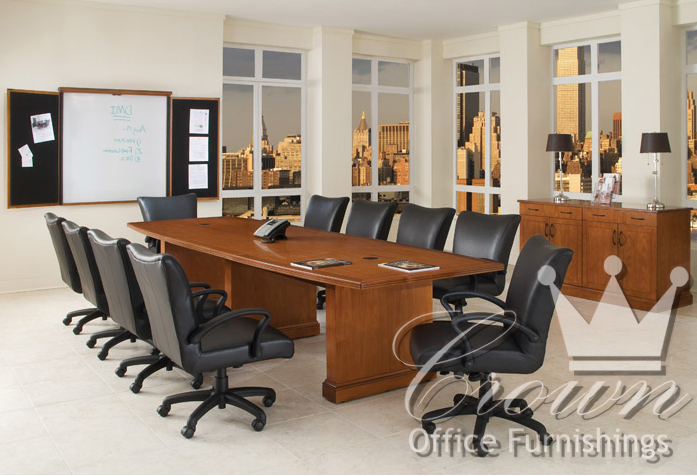 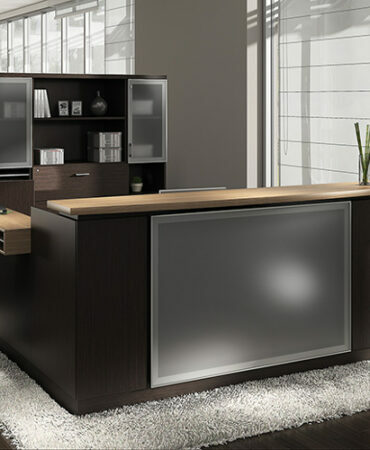 The Belmont collection is a tasteful and elegant veneer transitional line of desks and storage. Down to the most intricate details, Belmont quality surpasses. 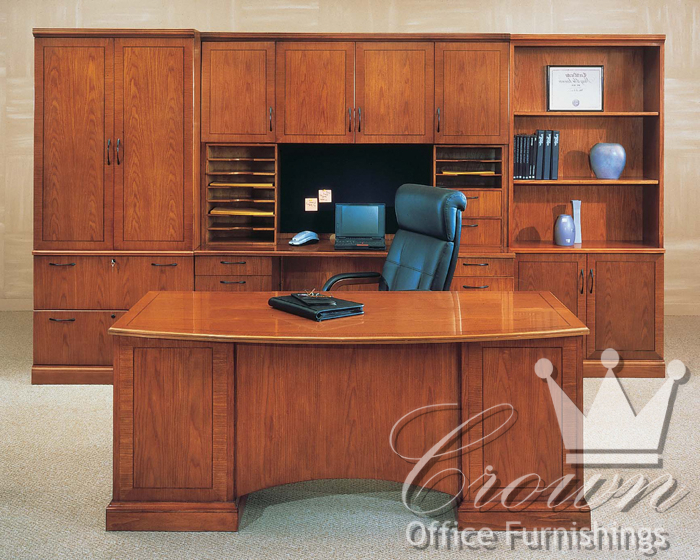 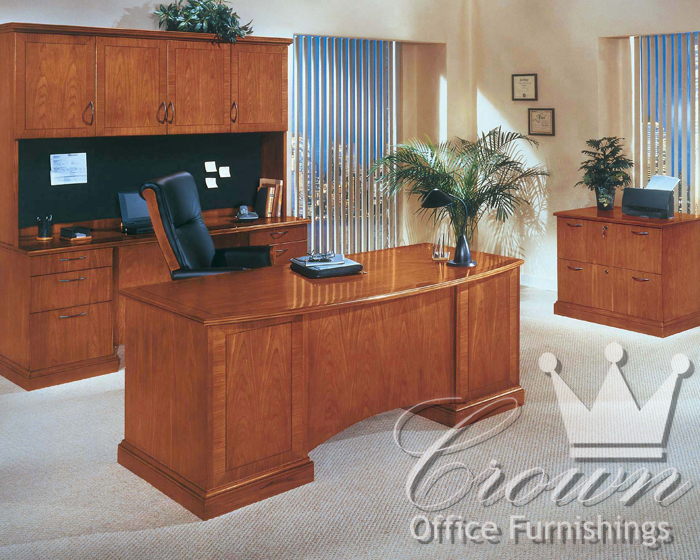 Bow front desks, felt lined drawers and walnut crown moldings are par for the course for this high quality modular furniture.